Gillian lives in Darlington in the North East of England, with her husband and rescue dog Liffey. With four adult children and nine grandchildren, there is always plenty to do but her passion for writing occupies much of her time. 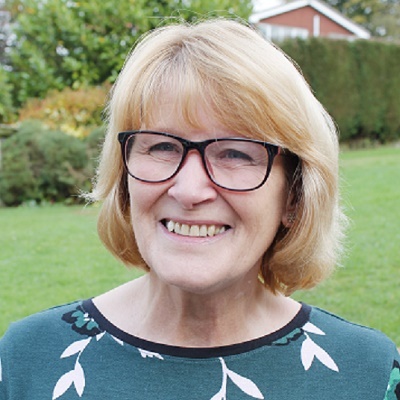 After a career in childcare as the owner/manager of a Day Nursery, Gillian changed course and trained as a therapeutic counsellor. Following this, five years working in the voluntary sector for Victim Support brought a whole new range of experiences as she supported victims of crimes, from burglary to homicide. Combining these experiences with a lifelong love of writing, the fictional counsellor, Maggie Sayer, was created. There are five books in the ‘Maggie’ series, each dealing with gritty contemporary issues yet written with a sensitive touch. Each book introduces three different clients for Maggie, as well as moving her own story along what is often a rocky path. Other novels include Abduction which opens thirteen years after the abduction of three year old Grace Bryson, when her sister is convinced she has seen her alive. Dare the family hope again and if it is Grace, where has she been all these years? Snatched begins with eleven year old Danny being taken on his way home from school, hurling the family into every parent’s worst nightmare. The police investigation is hampered by lies and deceit as secrets begin to surface. Danny himself is terrified as he is held prisoner, in fear of what his fate may be but an unexpected friendship springs up, one which will change his young life forever. You can check out her page on Facebook at Gillian Jackson Fiction Author.